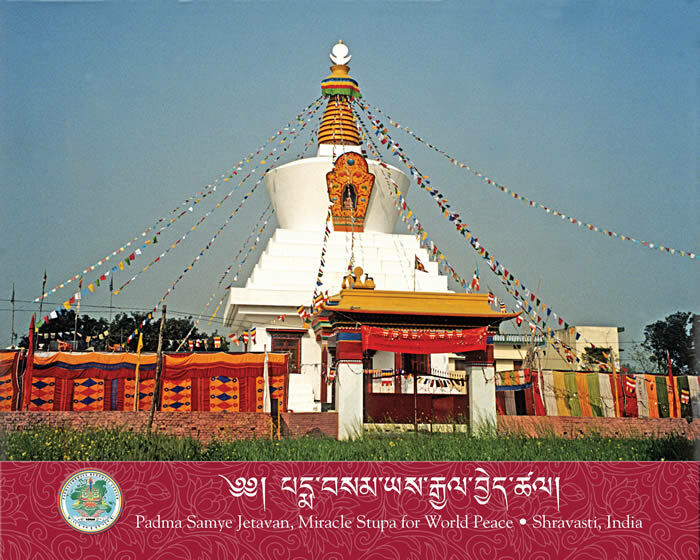 The Miracle Stupa for World Peace stands majestically on Shravasti’s sacred ground, reaching high into the heavens in this place where the Buddha spent 24 rainy seasons with his followers. It is outstanding among the monuments of the area, just a short walk from the original Miracle Stupa, which was built to commemorate the many miracles performed by the Buddha during one 15-day period. That stupa was reduced to ruins by invasions and other tragedies over the centuries. Ven. Khenpo Rinpoches have constructed a new stupa intended to last a thousand years, radiating the energy of love and compassion to all beings. 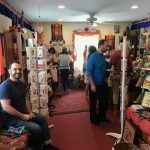 A collection of relics representing the Buddha’s body, speech, and mind are housed in the stupa’s core, as well as precious and sacred objects from Tibet and other places imbued with special energies across the globe. The Buddha’s body is represented by three solid granite statues of Buddha Shakyamuni, ranging from three to five feet, hand-carved by highly skilled craftsmen specifically for the stupa, as well as many small statues of Buddha and Guru Rinpoche and tsa-tsas of Buddhist deities including Amitabha, Guru Padmasambhava, Chenrezig, Buddha Shakyamuni, and Tara. The Buddha’s speech is represented by hundreds of copies of the entire Kanjur and Tanjur (Tibetan Buddhist Canon and commentaries) and 21 copies of the Rinchen Terzod (a collection of terma teachings of the Buddha, Guru Padmasambhava, and other great masters of India and Tibet) all on CD-ROM, as well as millions of mantras of Guru Padmsambhava, Amitabha, Chenrezig, Manjushri, Tara, Akshobya, Buddha Shakyamuni, Vajrasattva, and others. The Buddha’s mind is represented by more than 100,000 tsa-tsas of the eight great stupas, as well as dorjes, bells, phurbas, and other secret ritual objects. The stupa’s central chamber contains many rare and precious relics, including pieces of clothing worn by Guru Rinpoche, handwriting of Yeshe Tsogyal and the great translator Vairocana, hair and many personal objects belonging to His Holiness Dudjom Rinpoche, bone, relics from Longchenpa and many great tertons, and a Buddha Kashyapa terma fragment. 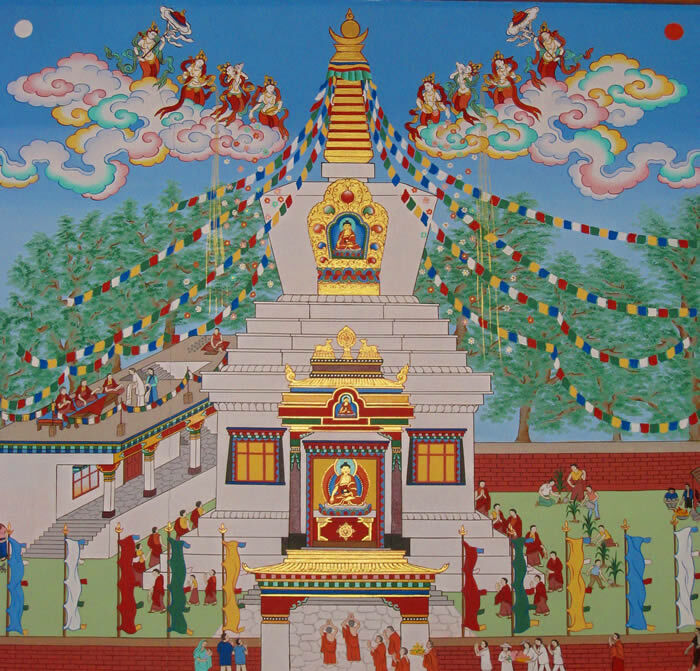 Precious stones, water from holy lakes, and blessed objects complete the auspicious contents of the Miracle Stupa. 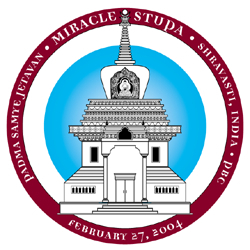 The land for the Miracle Stupa was purchased in 1995 through the blessings of the Triple Gem, H.H. 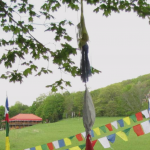 Dudjom Rinpoche, and other lineage masters, as well as the generosity of many sangha members and Dharma patrons. 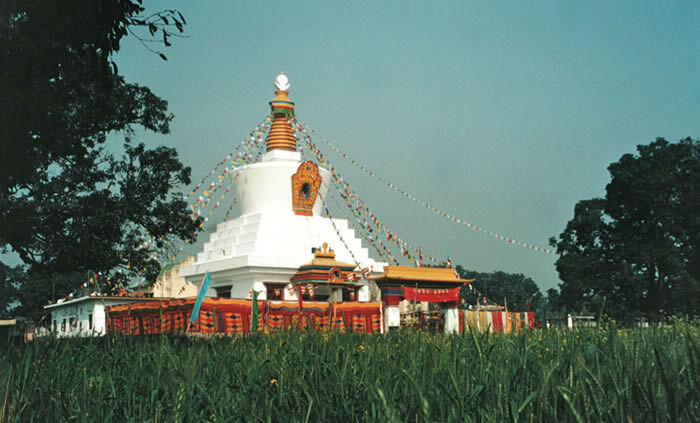 Construction began in 2000 and the stupa was dedicated in 2004. 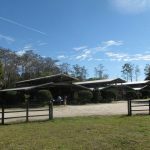 There is currently one small additional building on the property which can accommodate up to eight people. Ven. 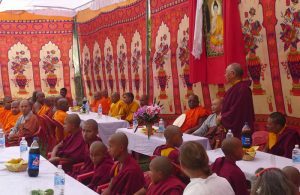 Khenpo Rinpoche hopes to build other structures on the property to provide permanent housing for monks and nuns and temporary shelter for pilgrims. In addition, the stupa requires ongoing maintenance. The Indian climate is particularly hard on the exterior of buildings, and frequent repairs and repainting are necessary. 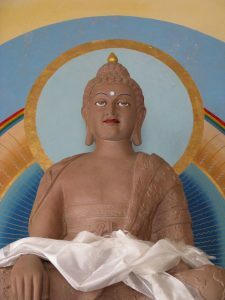 As Buddha Shakyamuni told in the Sutra teachings, if you build a temple or stupa that represents the Buddha, Dharma, and Sangha, it will bring tremendous merit. 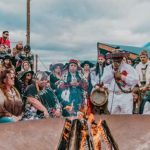 Even when it is gone, the dust of this place will continue to generate merit and benefit to all those connected to this project. According to that, we dedicate this merit. By this merit may all obtain omniscience. May it defeat the enemy, wrong-doing. From the ocean of samsara, may I free all beings.